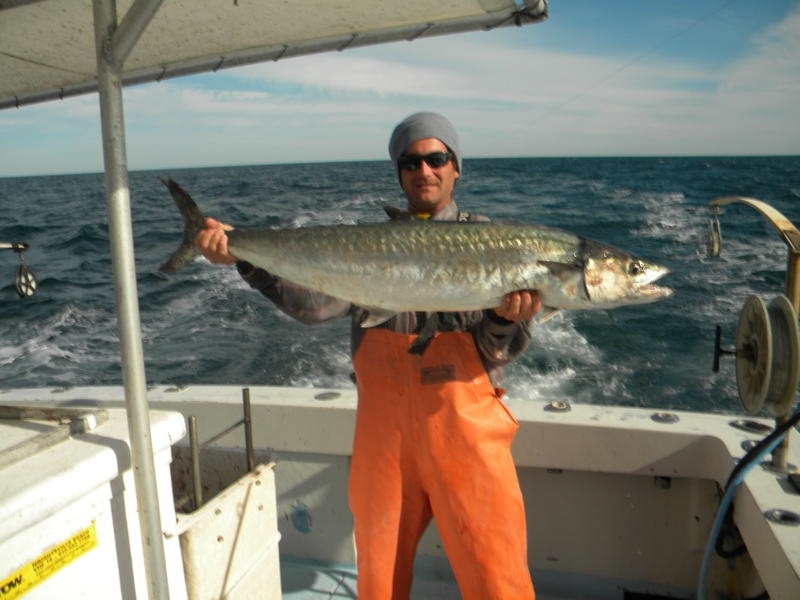 We troll for Spanish Mackerel, King Mackerel and Bluefish, Sightcast Atlantic Bonito and False Albacore, live bait for Cobia, drift fish for Shark’s or bottom fish for Flounder, Sea Bass and other bottom species in the Wrightsville Beach, Carolina Beach, and Topsail Island areas with Capt. Cord Hieronymus. If you would like to stay in the calm water you can fish the inshore area around Wrightsville Beach, Carolina Beach, Wilmington and Topsail Island, targeting Red Drum, Speckled Trout, Flounder and more. Tackle the wide variety of fish species this area has to offer. We accommodate novice and seasoned anglers. Children and families welcome! Multiple types of fishing are possible on a half day. If you have a certain species of fish you want to target or you just want to catch whats biggest and biting best we will make sure you have a great experience. Please review our availability calendar above and enter your desired date for your Wrightsville Beach fishing trip at checkout. NOTE: You are making a $100 dollar deposit for a 4 hour 1/2 day Wrightsville Beach fishing trip. Fish the 5-20 mile range. 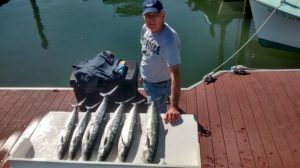 You will be able to catch most of the fish listed on the 4 hour Wrightsville Beach fishing trip but, have a better chance for a bigger class King Mackerel and Sea Bass. Along with the Barracudas, Mahi Mahi, Amberjack, and possible Sailfish and more. 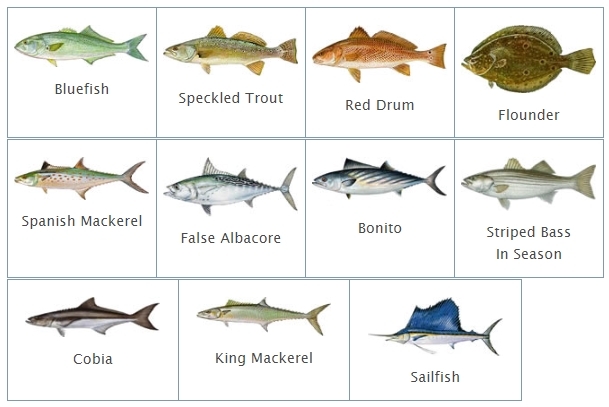 Also bottom fish species like Sea Bass, Grunt, and Snapper. Wrightsville Beach Charter fishing rates include: rods, reels, ice, bait, tackle, fish cleaning, a salt water fishing license, bottled water and, a 1st class native charter captain. Gratuity (15%-20%) is not included but greatly appreciated. Please review our availability calendar above and enter your desired date for your Wrightsville Beach fishing trip at checkout. NOTE: You are making a $100 dollar deposit for a 3/4 day 6 hour Wrightsville Beach fishing charter. All you need to bring is a cooler to take your catch home.